I use the preview window to create a pdf document. On the preview window I see all nodes and all node labels. 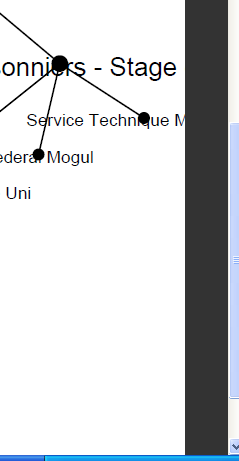 But on my pdf document, the label at the extreme right is cutted. Did you tried to set a larger right-margin? it is a correct workaround ! That's the purpose of this feature. Ok it is a work around, but I think the preview is by name, a preview of my document. It is quite curious to have to change margin, to obtain the targeted preview.